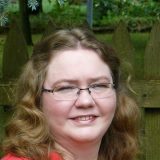 I’d like to introduce you to Publisher/Editor/Author Rebecca Sweeney-Graf. QUESTION: Hi, Rebecca! Welcome to Susan Finlay Writes blog site. You are Editor/Co-Founder of Silver Tongue Press. You are also an author. Can you tell us more about your background and how you became a writer and editor/publisher? ANSWER: I started off as an assistant to an author. She assigned me the task of exploring various online writing sites. From there, I got hooked into writing on various topics and then took a chance and wrote a religious children’s story. Many people suggested publishing it and writing more. It took off from there. About 4 years later, I had written my first novel and was going over it with my editor. We discussed the various publishing venues and joked that we could do our own publishing company and put out our own books. We did just that, but we had no idea others would want to get on board the train. QUESTION: Silver Tongue Press publishes children’s books, YA books, paranormal, suspense, mystery, historical fiction, and more. What do you look for when considering a submission? ANSWER: We have to enjoy it and see potential in it. We have to see readers wanting to read it. In addition to that, we look for humble authors. Too many submit their works and immediately begin demanding terms that you seriously wonder if JK Rowlings’ is lucky to get. We love to work with authors, but those that approach us with arrogance are ones we are leary of. It’s a team effort to publish, and all team members have to be willing to work together. QUESTION: How long does it usually take for you to read a submitted manuscript and make a decision? ANSWER: As the manuscripts trickle in and there are three of us as partners, we can get through them within a month. Sadly, some authors have said that because we get back to them so fast, they do not see us a legit. They expect to wait months for a reply. QUESTION: As an indie press, what kinds of marketing and publicity do you do? ANSWER: I also am partnered with a book promotions company, Celestial Book Promotions, where we set up Silver Tongue’s launch parties as well as virtual book tours. From there, we contact reviewers, interviewers, and other bloggers to help spread the word. That doesn’t include all the posts we put out regarding the books. But a lot of the marketing has to be done by the author. That is with any author because it is their baby, and the readers have to see their passion for it, too. QUESTION: Have you ever received a book submission that really ‘wowed’ you? ANSWER: Yes. We had one submittd by an 18 year old that took our breath away. We did publish it, Rising Calm. If she could write such a great YA Fantasy story at that age with no training, she’ll have a best seller when she is older and more experienced. QUESTION: You are also an author, so you can probably sympathize with other authors when it comes to getting a rejection for a book submitted. Does that ever get in the way when you’re considering a manuscript? ANSWER: I wouldn’t say ‘get in the way’ of. More like I take it into account on how to write it. We had one author that totally disregarded the submissions guidelines and sent a horrific first draft, but we could see the potential in the story. We ‘rejected’ it but gave her tips on how to improve it for us or some other publisher. QUESTION: When rejecting a manuscript, do you send out a form letter, or do you give a fuller explanation of why it isn’t right for your company? ANSWER: No form letters. I hate those. We personalize them. We try to help them understand the reason in hopes they will take it to heart and improve their writing or even their approach to a publisher. QUESTION: What are some of the biggest mistakes that writers make? What will cause a fast rejection? ANSWER: No editing! That is one of the biggest. We don’t expect perfect drafts coming to us, but we don’t want first or second drafts. We expect the authors to do some self-editing. Another is attachment to words. Too many writers think that deleting words of theirs is bad. They cringe when they need to shorten a scene, but no writer should get too attached to their words. It could be their biggest obstacle from creating an outstanding book instead of just an okay book. QUESTION: Do you have any advice for new writers? ANSWER: Just write. Don’t worry about a perfect draft the first time around. There is no formula to writing. You have to create your own. Don’t get attached to your words. QUESTION: Can you tell us a bit about the author/editor relationship? What do you like best about editing other authors’ work? ANSWER: Authors and editors have to have a respectful relationship. They cannot view themselves as better or smarter than the other one. They cannot always be right. The two have to come together like dance partners. One has to lead, the editor, while the writer brings beauty to the dance. I love editing because I see the beauty within the piece and help to reveal, but I don’t create it. It is all the author. I just help point out aspects they tend to not see because they are so close and invovled. The artist sees the soul of a piece, but they cannot see it the way someone else does that gazes up on in a gallery. The same can be said about writing. The author is part of the soul of the book, but they cannot see it the way a reader can. The editor comes in to see it from many angles and give comments to help shape into something that will be received the way the author desires. QUESTION: How do you feel about the “rules” of contemporary writing: no adverbs, limited dialogue tags, show don’t tell, no head-hopping, etc.? In your opinion, how important are they to writing? Are there any that you particularly adhere to? ANSWER: I’m kind of mixed about them. First of all, some of our greatest written masterpieces didn’t follow rules. The authors were unique and butted heads against mainstream writing. Trying to make all authors write the same defeats the creative purpose. That being said…. No adverbs? Okay. I can see where too many can be distracting, but I don’t agree with using none at all. There are always ways to write a sentence better. If the best way is with an adverb, then an adverb it shall be. Limited dialogue tags? I like those tags. I like to see what the character is doing and saying. I’m very visual and need the scene painted to a degree for me. Show don’t tell is a big one I prefer. When I see samples of writing that is shown versus the told version, the reader in me gravitates toward the show version. That is my response. That means the show is more important to me. The writings have to appeal to me as a reader. If I cannot connect as a reader, than the author missed an opportunity. But I have to keep in mind that not every good writer will appeal to me. QUESTION: You are also an author of numerous books, including a paranormal/suspense/romance series that begins with ‘Deep Connections’. Can you tell us a bit about those books? ANSWER: Deep Connections is about a young teacher who finds herself falling in love with a man who she sees as a good friend. It gets complicated when she sees the other man who has been her steady date want to be more than just the man who fills in the lonely Friday nights. Complications get worse when she finds herself being stalked by something that doesn’t seem quite human. He will do anything to have her. She is the answer to an ancient prophecy. Through her he can achieve great evil. Dark Connections just came out in April and literally takes off right where Deep Connections ends with a massive cliffhanger. I can’t say much except more of the stalker is revealed as is the prophecy. It also ends with a cliffhanger. Deadly Connections is over halfway done. It will be the final story in the series. Though there is a young couple in the books that might get a few stories of their own. I loved writing about them. QUESTION: You have another book coming out this year. It’s ‘Trust Me’. Can you tell us a bit about it? When will it be available? ANSWER: Trust Me is about a woman who finds herself kidnapped by an extremely handsome stranger. He claims that he did it to save her life. She can’t decide if she can trust him as things get out of control and they are chased by men with guns. The novella is constantly having the readers question whether or not her savior is the good guy or the bad guy. It should be out in July. QUESTION: What books or authors have most influenced you in your own writing? QUESTION: If you could meet any book character, who would it be, and what would you do with them? ANSWER: Edmund from The Count of Monte Christo. I love reading about him. He is so strong and determined, yet so gentle and loving in the end. I would travel on a boat and have him tell him tale. QUESTION: Please list any websites or social media links for yourself or your company. Thanks! FROM SUSAN: If you liked this article, please subscribe to (follow) my blog. Thanks! Rebecca Sweeney-Graf sounds highly motivated and conscientious. When she says she hopes that writers submitting manuscripts will have already “self-edited,” I can’t help mentioning that, in my understanding, “self-editing” is writing. In literary novels, anyway, finding the right language, searching below the first clumsy drafts (shall we call it “self-editing”?) is the way to characterization, insight, and control over the fiction. This may also be true of other genres. I enjoyed the interview. It was so real. I’m following several threads on LinkedIn where many egos are on display and following all the current rules is considered almost a religion in itself. Rules (actually strong guidelines) are meant to be broken, but not as a regular habit. Really interesting and informative interview Rebecca, thanks for sharing your experience and insider knowledge. Appreciated. Good luck with your company and with your own books. Just wondering how you find the time to write when you have to read so much. Impressed. Thanks Susan. Leave a reply on "Bonus Interview With Publisher/Editor/Author Rebecca Sweeney-Graf"